Are you and your family on team bacon? At Passanante’s Home Food Service we’re very pro-bacon and even more pro-simple-recipes! 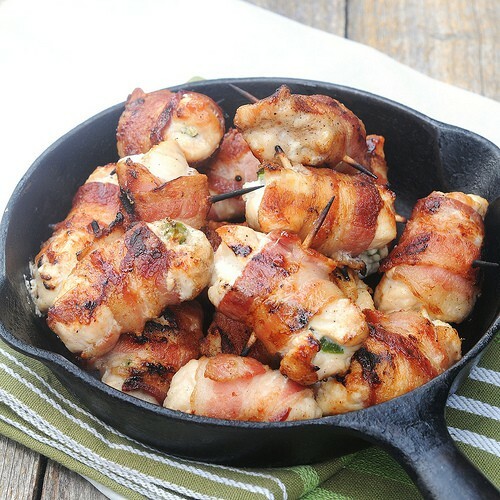 This incredibly easy sweet and spicy bacon wrapped chicken recipe is an instant favorite at any dinner table or pool party. Give it a try and let us know what you think on our Facebook Page! Bake at 400 degrees for 30 to 40 minutes or until chicken is cooked through and bacon is nice and brown and crispy. Skip steps five and six if you prefer to grill these tasty treats! This entry was posted in Poultry, Recipes and tagged Bacon, Bacon Wrapped Chicken, Food Delivery Service, Grade A Poultry, Hormone-Free Meat, Passanante's Food Delivery Service, Passanante's Home Food Service, Recipe by Passanante's Home Food Service. Bookmark the permalink.